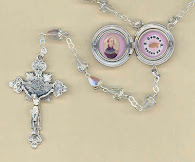 The main emphasis of the book is to show how Gemma was called by Jesus to be a victim soul in reparation for sinners--"A little Victim of Divine Love", that is, a victim of love with Jesus, and for Jesus. Gemma's deep love for Jesus and Mary was inflamed by her mission and vocation, which was to suffer and to love in union with Jesus in reparation for sinners, and for the conversion of souls. "Tell me, My child, do You love Me greatly?" Jesus said to her. "If You love Me, you will then do whatever I want of you....What malice and ingratitude there is in the world! Sinners continue to live in their crimes; weak and heartless souls will not sacrifice to overcome the flesh; those in tribulation lose courage; despair and indifference keeps increasing daily, and no one makes amends. I cease not to dispense heavenly graces and favors to all My creatures, life and light to My Church, virtue and strength to him who rules it, wisdom to those who direct souls in darkness, perseverance and fortitude to those who choose to follow Me; graces of every kind to all the just. I send My light into the dark dens of sinners to soften their hearts, doing all that I can to convert them. But, notwithstanding all that, what little do I gain? What little correspondence do I find in My creatures whom I have loved so much? No one any longer cares for My heart and for My Love. I am forgotten as though I had never loved them, and as though I had never suffered for them. My Heart is always in sadness! I am left almost alone in my Churches. Many, through hypocrisy, betray me by sacrilegious Communions. I can bear no more." And to Jesus entreaties Gemma bravely replied: "You know, oh Jesus how ready I am to sacrifice myself in everything. I will bear every sort of pain for Thee. I will give every drop of my blood to please Thy Heart and to hinder the outrages of sinners against Thee." And thus she began to put Jesus desires and her reply into action. His scourging, His sweat of blood, His crucifixion, His wounds, His darkness and anguish -all were to be also her portion, to the extent that she was able to bear. She would not do such things by half measures but would commit her whole self; her whole being in the service and sacrifice offered to Jesus. She would plead to take upon herself the chastisement and punishment reserved for sinners. Like the lightning conductor raised towards Heaven, she would heroically attract the thunderbolt of God’s just anger to preserve others from it. Her love and trust for Jesus gave her the courage to make a complete offering of herself. "I would wish," she wrote, "to bathe with my blood all those places where Jesus is outraged. I would wish all sinners to be saved, because they have been redeemed by the Precious Blood of Jesus." 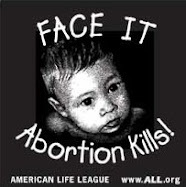 "My child, I have need of victims; very strong victims! In order to appease the just wrath of My Divine Father I need souls who by their sufferings, tribulations and difficulties make amends for sinners and their ingratitude. Oh, that I could make all understand how angered My Heavenly Father is by the impious world! There is nothing to stay His hand and He is now preparing a great chastisement for all the world." 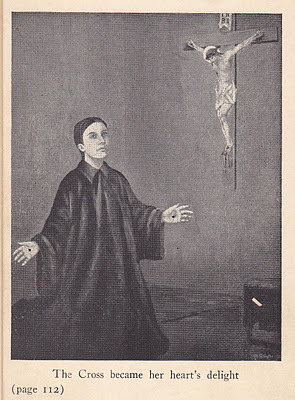 "I am the Victim, and Jesus the sacrificing priest. Act quickly, oh Jesus! All that Jesus wills, I desire. Everything that Jesus sends me is a gift." Thus out of love for Jesus she ardently desired to suffer for sinners saying with St Paul: "Now I rejoice in my sufferings for your sake, and in my flesh I am filling up what is lacking in Christ’s sufferings for the sake of his body, that is, the church" (Colossians 1:24). He had chosen her to be a little victim of Divine Justice, and in her complete self surrender He poured out His infinite desires into her loving heart. Gemma once wrote: "Let whoever wishes to contemplate Him on Mount Thabor, but I will contemplate Him on Mount Calvary with my dear Mother of Sorrows"
"Do you wish to love Jesus always?" a mysterious Voice one day said to her. "Then never cease, even for a moment, to suffer for Him. The Cross is the throne of true lovers; the Cross is the patrimony of the elect in this life." "...Jesus appeared with His wounds open and from them there no longer came forth blood but flames of fire. In an instant, those flames pierced my hands and feet and heart." Thus she received the holy Stigmata, that she might suffer united with Jesus for the conversion of souls. Like Saint Francis of Assissi and Saint Catherine of Siena and numerous other specially chosen Saints, she bore in her body the marks of the holy wounds of Jesus' Passion. For some time on Thursdays and Fridays this phenomenon was evident. 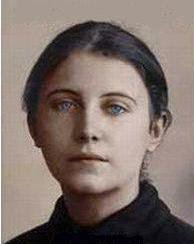 Her spiritual director, Father Germanus wrote: "She was truly His little holocaust. The Agony in the Garden also took possession of her. With her Jesus she, too, experienced the sweat of blood. On these occasions, the blood, pressed from the heart by the vehemence of grief, oozed through the pores of her body, and especially from the left side over the region of the heart, so that she was bathed in blood." And so it was that Gemma was crucified and united to Jesus, and it was with love and with joy that Gemma offered and surrendered herself to Him. She followed Him on the way to Calvary. Wounded with love, she would live and die a martyr for Him. Once, while making the Holy Hour in love and reparation to the outraged Heart of Jesus, she found herself "…before Jesus Crucified. He was bleeding all over," she said. "I lowered my eyes at once and the sight filled me with pain. I prostrated myself with my forehead to the ground and there remained for several hours. I came to myself with the wounds of Jesus so deeply impressed on my mind that they never since left it." On another occasion, in April, 1899, she beheld Jesus Crucified and heard Him say: "Look, My child, and learn how to love." He then showed her His five open Wounds. "Look at this Cross, these thorns, these nails, these livid marks and lacerations. These wounds are all works of Love; of Infinite Love. See to what extent I have loved you." "How could I bear to see Jesus suffering and not help Him?" she said. 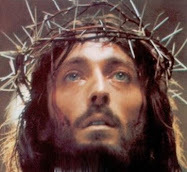 "I begged and entreated Jesus to grant me this grace (to take the crown of thorns from him -editor). He gratified me at once, and drawing near to me, He took the crown of thorns from His own head, placed it on mine, and with His holy hand fixed it on my temples. These are painful moments but happy ones. Thus I passed an hour with Jesus." 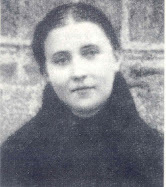 On at least several occasions she was also given the wound on the left shoulder from the weight of the Cross, which judging by her movements was obviously very painful, even though she did her best to hide it, as stated by Cecilia Giannini, one of the witness to these extraordinary events. "One Saturday evening" Gemma writes, "I went to make a visit to Jesus in the holy crucifix. There came upon me an ardent longing for suffering, and with all of my heart I implored Jesus to satisfy me. And since that evening He has granted me a ceaseless pain in my head-but such violent pain! And I am almost always crying through fear of not being able to bear it." Gemma was human and had her human frailties and weaknesses just like the rest of us. She was very much of the same flesh and blood as ourselves. She felt and experienced a natural aversion to pain and suffering. Although she feared at times that she could not stand the pain, she still longed to suffer for Him. "I am happy in every way that Jesus wills," she says, "and if Jesus wants the sacrifice of my life, I give it to Him at once. If He wants anything else, I am ready. One thing alone is enough for me: to be His victim in order to atone for my own innumerable sins and, if possible, for those of the whole world." Yet while her flesh was weak, her spirit always soared above her human frailty, and although she received many heavenly graces and consolations she once wrote: "Believe me, I willingly renounce all the consolations of Jesus (heavenly graces -ed.). I don't want them. Jesus is the Man of Sorrows, and I wish to be the child of sorrows." 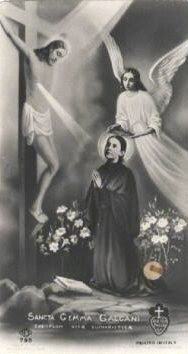 Thus her piety and love for Jesus was true. There was the natural recoil and fear of suffering, the instinctive horror of pain within her, but nevertheless she embraced it. She had given her will to Jesus that He might do with her as He pleased, and she strove not to let her human weakness stand in the way. Reparation for her was a question of will, and not of feeling. It was this essence of true piety that Our Lord confirmed when He said to Saint Teresa of Avila: "My daughter, You ask Me for suffering, and then complain when I send it. Nevertheless, I answer your prayer considering your interior will and desire, rather than the natural repugnance of your nature." And we see for her part that Gemma's will and purpose to please Jesus was sincere and it was very dear to His Heart. More than it has ever been. Our peace in God's sweet Will. To live for Him always. would have us love always. God's will is our peace.